I have an active Facebook page with over 500.000 fans and a high engagement rate. What insights can be gained about my stores, my products and my service? We processed the posts and comments of fans over a period of one year. In the beginning we detected the topics of discussion and subsequently we performed sentiment analysis in order to extract positive and negative opinions vis-à-vis the extracted topics. 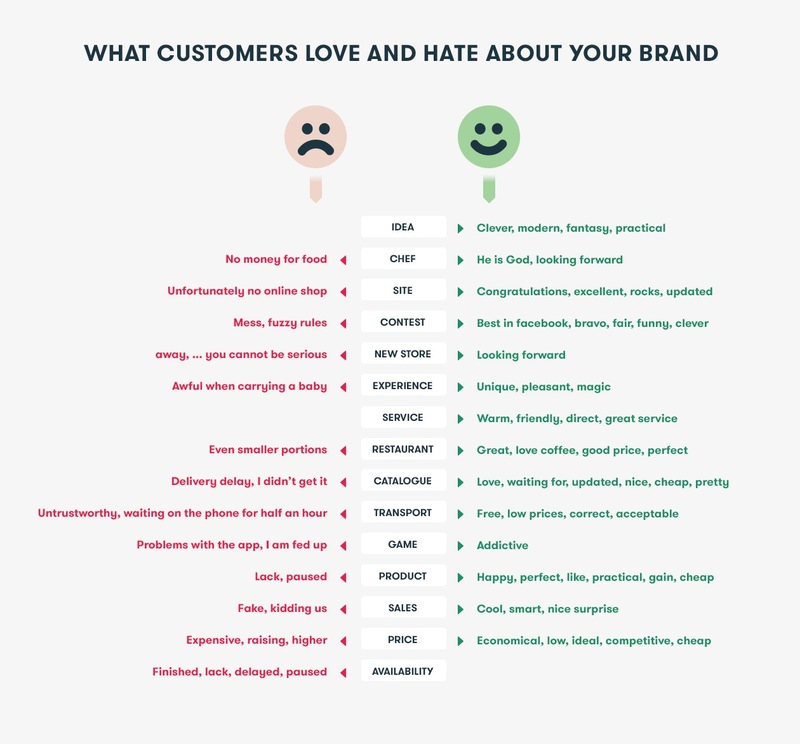 You can leverage the customer feedback on web sites and social media pages in order to gain information about your services, your prices, your contests and your store experiences. Clients who leave comments invest time and thought, offering you valuable and free feedback on your business.